So now we know What Would Walt Do™? Pretty cool, but definitely overrated. If Walt had lived to see any shovels at work in Florida, much less see what the place is like now, he'd want to know why there aren't helicopters and small jets landing along Bay Lake. Celebration sits on the northern portion of the airport site. It’s basically a permanent TFR. Latest being issued on 10/27/2014 with an ending date of “Permanent”. It’s fun to see the RNAV waypoints like HKUNA, MTATA, JZMN, RFIKI, etc. I’ve only prepared one of these Notices of Proposed Construction or Alteration as they are known which results in the FAA making a determination of what is required to be done. There was a study conducted in 1999 for the addition of an antenna to the top of the Swan. A Determination of No Hazard to Air Navigation was made for that particular antenna. It is 2’ tall and is listed as being at the top of a 250’ structure. Sometiems you see dozens of these determinations made in a small area. Most recently you can see dozens of these determinations in Florida for FP&L concrete poles only 55’ in height. You'd think planes wouldn't need special lights to steer clear of lit up giant swans and fish bigger than they are. Well the purpose of these lights is that they are supposed to remain lit even if the rest of the lights go out for a power outage. In order for us to truly know the reason, Disney needs to start making Timon and Pumba cards describing plane safety for us. I stand corrected...The description I saw looked like east/west runways...when we flew in from NJ, obviously we flew south and made a wide westerly turn before approach...naturally it felt like we were landing west. I was wrong, as usual, you guys always educate me well. 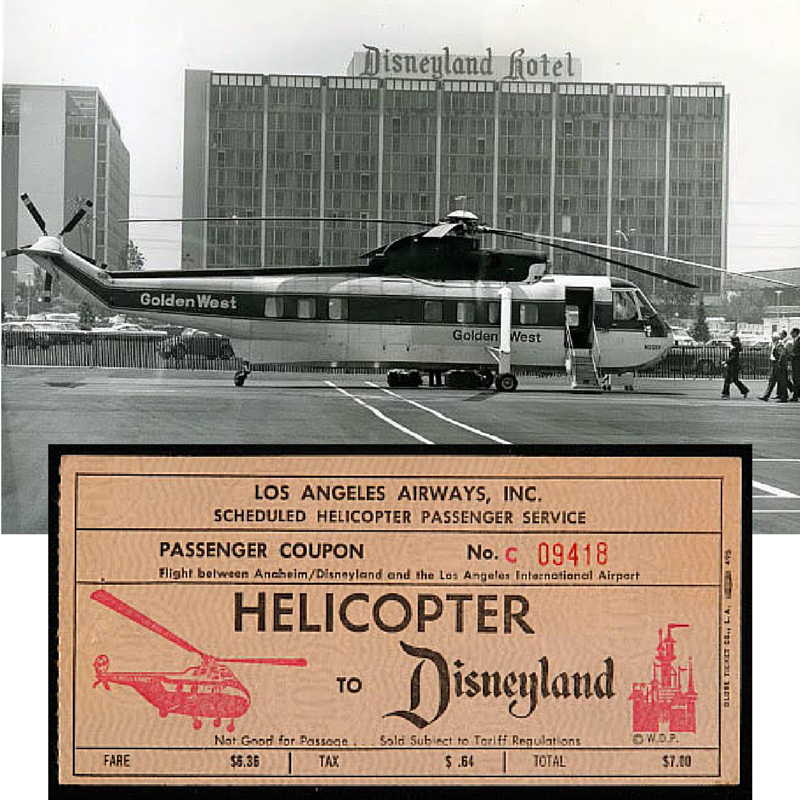 The photos of the helicopter service at Disneyland are awesome...but IMHO, the whole illusion would be somewhat ruined with planes flying in such close proximity to the parks, especially MK...kinda like looking at all the roofs of the attractions while on the sky ride back in the day. But then again, that's just my opinion, for what it's worth. And your opinion is a valid one, and there's no telling how Walt would have changed his mind (several times over) when it comes to theme park operation if he had lived into the 1970's and 80's. It's very easy for East Coasters to think "Walt wanted it that way" when it comes to WDW, because there's this bizarrely inaccurate revisionist history that has been created in the Internet age when it comes to how WDW operates. And TDO doesn't help by latching on to "Walt" urban myths for merchandise and for-profit guided tours, etc. I've taken two official guided tours at WDW in the last decade-ish; Keys To The Kingdom and From Marceline To The Magic Kingdom. Both of them had perky tour guides who gushed facts and figures and Walt tales, but too much of what they said was wrong or wildly inaccurate. The housewives from Ohio and pin collectors from Connecticut who were on the tour with me lapped it all up and believed every word. And why shouldn't they?!? The guide was wearing an official plaid skirt for gosh sakes! No one from WDW's guided tour department thinks it's a problem that their plaid tour guides are spouting off incorrect information, inaccurate timelines, made-up stories and urban myths, or just outright lies, especially about Walt and the formal planning and construction of Walt Disney World years after his death. I've also taken the Walk In Walt's Footsteps Tour at Disneyland twice in the last decade, and the contrast to how that tour is conducted couldn't be more night-and-day compared to WDW tours. The Disneyland guides are just as perky as WDW's, but they are strictly scripted, they never stray into sketchy third-hand accounts or speak for Walt, urban legends are not part of their script, and their information is 100% dead accurate. 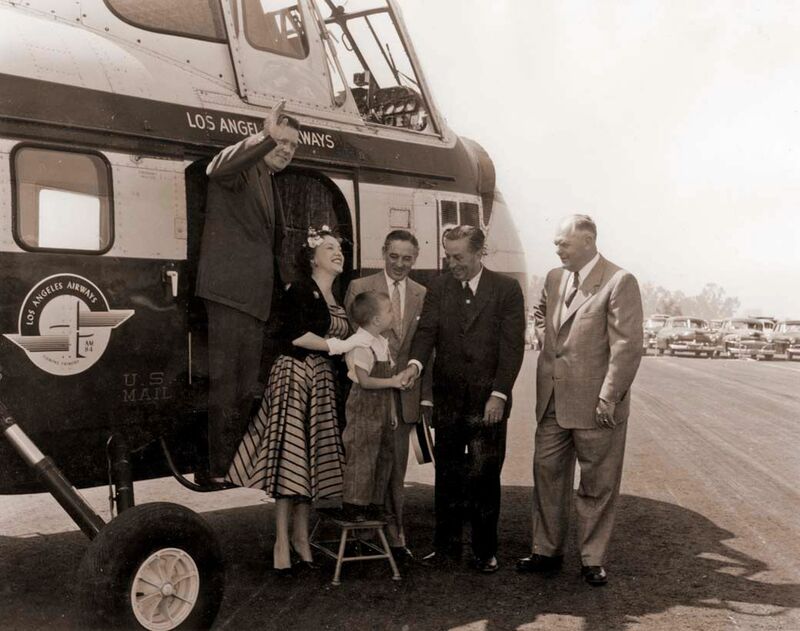 They often cite their sources on the tour, usually the Walt Disney Archives in Burbank, the Imagineering Library in Glendale, or the actual people who worked for Walt and then went on record in their autobiographies. No such sources were ever cited by the guides on any of my WDW tours, you are just supposed to believe the guide is telling the truth about the inaccurate story she just told. There's also a formality and elegance to the Anaheim guides that is typically Disneyland, but that's another thread's topic. In short, it's no wonder so many WDW fans have inaccurate ideas about what Walt wanted or what he did at WDW (not much actually), because the WDW managers of the 21st century seem fine to let Walt's impact on the place devolve into nothing but inaccurate urban myths and a few outright lies. They sell more t-shirts and guided tours that way, and they don't seem to care. The WDW visitors can't be blamed for believing it all. Valid points...however, a) I never mentioned Walt in that particular thread...I think one of the problems is that Walt felt so "squeezed" in Anaheim, i.e. not many choices to expand and it's well known that be bought as much land as he did in Florida so he would never have that problem. That's widely known and agreed upon. He felt as though he would correct what he perceived as errors when the Florida project opened. b) I never realized that us "East coasters" were that inferior to you "left coasters"...thanks for pointing that out to me. Another reason to stay east of the Mississippi. We do know where Walt wanted the airport, the opposite side of the property from Disneyland East. There are also plenty of reports of Disneyland tour guides spewing nonsense. Sorry for the confusion, I was referring to this statement you made in this thread regarding Walt; That Walt on his deathbed in 1966 would have made some corporate decree that aircraft couldn't fly over his Florida theme park for aesthetic reasons, which is not accurate. Knowing how Walt was for details, I wouldn't be surprised if that fact wasn't agreed upon before the first shovel went in the ground. I was born and raised in Titusville. But as a Walt fan, you really should visit Disneyland once in your life for at least a day or two and then visit the Walt Disney Family Museum up in San Francisco. The weather in Anaheim is generally fabulous! So on my drive down I4 this evening, I took note of what buildings had FAA lights. I noted that the Rosen Centre Hotel, which is supposedly 287 feet, does not have any FAA lights, unless they are not visible from ground level. Some of the Lake Buena Vista / Disney Springs hotels do have them, and others do not (I forget which ones are which). It would seem that the Dolphin is not the only exception to this rule. My guess is that some buildings below 300' but above 200' in height are exempt from the rule somehow, but no non-building structures 200' or above are exempt. Krakatau at Volcano Bay is described as 200 feet, and it does not have a light, so maybe it is actually 199 feet. So on my drive down I4 this evening, I took note of what buildings had FAA lights. I noted that the Rosen Centre Hotel, which is supposedly 287 feet, does not have any FAA lights, unless they are not visible from ground level. Some of the Lake Buena Vista / Disney Springs hotels do have them, and others do not (I forget which ones are which). It would seem that the Dolphin is not the only exception to this rule. My guess is that some buildings below 300' in height are exempt from the rule somehow, but no non-building structures are exempt. But it can have a huge red light on top if someone flips a switch. I suspect the resort gets away with the light on a technicality. Whilst the triangle reaches to 257ft, most of the section above the main roofline is all fake building. The actual building structure is likely below 200ft; and somehow they got away with using that as the height. It doesn’t work like that. It’s all the building structure even if the whole height isn’t habitable space. Alan Lapidus did write about the lights for the Swan, but not how the Dolphin was approached. And if they do go out, and you cannot get them repaired in under 24 hours (I think it's 24 - don't quote me, it's been a while) you have to issue a NOTAM, Notification to Airmen, that there is a tower/building with non-working lights in the area. Dave, yes that is true...in 1983, I was at Seton Hall Univ. and worked for WSOU, their radio station, and while I was working the board on an early Saturday morning, we got a call from the FAA alerting us to the fact that our beacon light was out atop our 400' tower...we were in the flight path of Newark airport, It seems pilots were alerting the tower...it's not something they mess around with.